ITV DVD will release the latest TV adaptation of Dracula on DVD on January the 8th. The new ninety-minute version, which will air on BBC1 on December the 28th, stars Hustle's Marc Warren, as Dracula, Poirot's David Suchet, as Van Helsing and Thunderbirds' Sophia Myles, as Lucy. It also features State of Play's Tom Burke, Wall of Silence's Stephanie Leonidas (as Mina) and Shaun of the Dead's Rafe Spall (as Harker). There's no bonus content mentioned in the press release. Play.com says that the disc is a "Director's Cut", and that the disc will feature deleted scenes. There's nothing in the press release to support these claims. The disc has an RRP of £19.99. Liberation Entertainment will release a documentary titled The Unseen Beatles on DVD on January the 22nd, to coincide with the broadcast of a BBC Two Timewatch programme titled Beatlemania. It will apparently feature "rare, never before seen home footage and behind-the-scenes news film" of the Fab Four, and feature contributions from (former roadie) Ed Freeman, Barry Tashian (from their support band, The Remains), Tony Barrow (press officer from 1962-1966) and Tony Bramwell (road manager from 1967-1970). 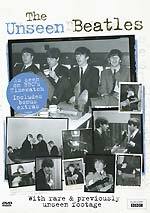 The disc will also features bonus features in the shape of a photo' gallery, extended interviews with Allan Williams, Andi Lothian, Larry Keane, Tony Barrow, Maureen Cleave and Tony Bramwell, and footage of the Beatles in Jersey. The DVD-5 will be region 0, and presented with 2.0 Dolby Digital audio. The RRP is £15.99. 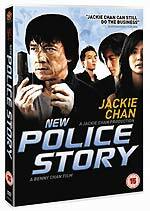 Hong Kong Legends will release a two-disc edition of the Jackie Chan movie New Police Story on DVD on February the 5th. The film will be presented in widescreen format, with the original Cantonese audio track in Dolby Digital or DTS 5.1, or with an English 5.1 dub. There are optional English subtitles. The second disc features a gallery of three original theatrical trailers; a UK theatrical trailer; Interview Gallery - Benny Chan; Star Attraction (UK exclusive cast interviews); The Making of New Police Story; Behind the Scenes - Scenes 1 to 18. Momentum Pictures will release the first half of the sixth season of CSI: Crime Scene Investigation (featuring episodes 6.1 to 6.12) on DVD on February the 26th. The three disc set will feature the resolution of season five's nail-biting cliffhanger (which saw team member Nick Stokes kidnapped). The set will feature commentary tracks on selected episodes (Shooting Stars by Danny Cannon, Gum Drops by Sarah Goldfinger and Richard J Lewis, and A Bullet Runs Through It - Part 1 by Carol Mendelson, Richard Catalani, Danny Cannon, Carol Mendelson and Ken Fing - the press release suggests there are three commentary tracks on this episode). 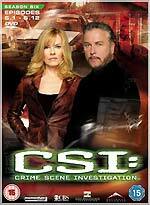 The set will also contain a featurette, titled CSI: The Scene of Sound. The RRP is £39.99. 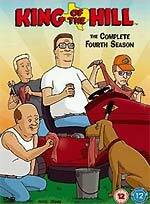 Twentieth Century Fox Home Entertainment will release the fourth season of King of the Hill on January the 15th. The three-disc set will feature twenty-five episodes of the series, including the two part story Hanky Panky / High Anxiety. The season features cameo contributions from guest stars including Reese Witherspoon, Kathleen Turner and Sydney Pollack. The episodes will be presented in 4:3 format with Dolby Digital 2.0 audio. RRP for the set is £24.99. 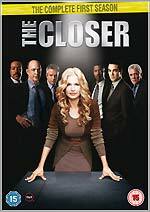 Warner Home Video will release the first season of recent US hit The Closer on DVD on January the 22nd. The series stars Kyra Sedgwick as Deputy Chief Brenda Johnson, a Southern Belle who has been transplanted to Los Angeles, where she heads the high-profile Priority Murder Squad. The four disc set will contain thirteen "strikingly packaged" episodes, accompanied by twenty-two minutes of previously-unaired scenes. The RRP is £39.99. Twentieth Century Fox Home Entertainment has issued a revised press release announcing their 30th Anniversary Definitive Edition new two-disc Rocky DVD, which is being released on January the 15th. No doubt this is inspired by the theatrical release of the latest film in the Rocky saga, Rocky Balboa, on January the 19th. The new set will have more than nine hours of bonus material, including "all existing special features" (including the audio commentary by key cast members). There's a brand new commentary by legendary boxing experts, commentator Bert Sugar (who is also featured in a video interview) and trainer Lou Duva (who also appears in a featurette, Three Rounds). 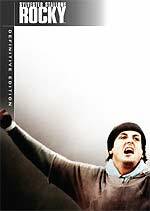 The set also features a three part, seventy-four minute Making of... documentary, In The Ring; two additional featurettes, The Opponents and Ring of Truth; and Stallone's appearance on the Dinah! show, from 1976. The disc also features a sneak preview of Rocky Balboa. The set has an RRP of £15.99. The first four Rocky sequels will also be released on DVD on January the 15th, making them available individually for the first time (currently they're only available in the Rocky box set). It's Podcasting, But Not As We Know It. BBC Audiobooks, the UK market leader in spoken word publishing, today announced a landmark deal with one of the world's leading audio drama directors, Dirk Maggs, and his partners at Perfectly Normal Productions (PNP), to create compelling, high quality audio entertainment for bite-size delivery direct to home computers, portable media players and mobile phones. Dirk Maggs is an acknowledged master of dramatised audio, winning numerous awards and commercial success for his “movies for the ears” including BBC Radio's Batman, Superman and The Hitchhiker’s Guide to the Galaxy. With fellow audio specialist Paul Weir and interactivity expert Richard Adams, PNP is building a network of creative talent to produce "movies without pictures" in Maggs' unique style, featuring powerful scripts, layered sound effects and full music scores. "Podcasting should be so much more than a platform for stand up comedy and audio diarists", says Maggs. "And video on a handheld device will never rival the storytelling experience of a big screen. But we can fill the gap. In our hands mobile entertainment bypasses the optic nerve and hotwires the imagination, with a widescreen experience you can enjoy anywhere - in the car, the train, or on the sofa with your eyes shut." PNP's initial focus is on original material by leading science fiction and graphic novel authors of today, mixed with much-loved titles including cult British comic characters licensed from IPC Media's Fleetway library, such as The Steel Claw. Also resurrected in a new series of tongue-in-cheek adventures will be the legendary British detective Sexton Blake, featuring Simon Jones, the star of The Hitchhiker’s Guide To The Galaxy. The Perfectly Normal team are firing up the production engine now, and releases are planned for 2007.